One of the enduring pleasures of a baseball game at the Durham Bulls Athletic Park is listening to Doc Watson and his son Merle pick their way through “Take Me Out to the Ballgame” (from their album: Doc & Merle Watson’s Guitar Album). Doc died the other day and we here in North Carolina (and the rest of the world) are going to miss him. 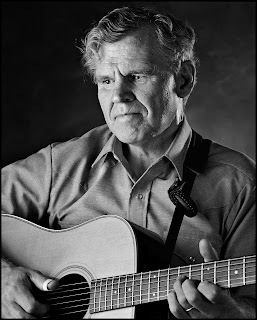 Just about every guitar player I ever met has at one time or the other attempted to emulate Doc Watkins’ flat-picking style (although he was no slouch at finger-picking either). Along with Merle Travis and Chet Atkins, he re-defined how to play the flat-topped acoustic guitar. Most of all, he just made wonderful music. For those who are interested in his life and his music, a great place to start is Pinecone’s website, which has links to any number of tributes. A search on Youtube will find lots of videos. And for 99¢ you can download "Take Me Out to the Ballgame" from iTunes. I hear rumors that Doc might be honored at the DBAP at some point during the next home stand. I hope he is. And I hope to keep on listening to Doc and Merle every 7th inning for a very long time into the future. 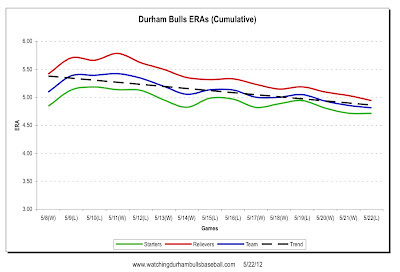 Jeff Salazar is one of the many Bulls that needs to show his stuff if Durham is to get above .500. He did that this afternoon with a bizarre 10th inning inside-the-park home run. As described in the wraps, the ball essentially parked itself underneath the bullpen bench and by the time the Indy outfielder got the ball out, Salazar was home. Before that, however, new guy Shane Dyer had another ugly early inning, giving up four runs in the 1st, then did a fine job for the next four. In the Bulls 6th some razzle-dazzle base running (and a bad throw) scored one run. A single by Leslie Anderson brought in another. And a home run by Juan Miranda (!) brought in two more. Bulls pitching, Romulo Sanchez and Brandon Gomes, kept the Indians in check until Salazar’s heroics. Dane De La Rosa closed it out. Monday’s game has little to recommend it. The Bulls left a bunch of guys on base. The old Alex Torres peeked out with 3 BBs in 1 inning (but no runs scored on him). As we guessed, Mayo Acosta was sent to Montgomery. He did a good job. We will be seeing more of him I am sure. Chris Gimenez and Stephen Vogt were in the house. Vogt pinch hit for Albernaz in the 7th and stayed in the game at catcher. BurGi at Rays Prospects has done another of his analytical pieces, this one on Rays’ system pitching. Nice work. Ms. Van Deren is on Ocracoke Island! The Bulls played an afternoon game and have an evening game tomorrow. That means that they can have a night on the town in Indianapolis, Indiana. Indulge me by taking on this true story about an evening I once spent in Indianapolis. Our team was seeking a place to eat on a Friday night. We were hungry and didn’t want to wait in line. But it seemed like the parking lot of every restaurant we found was full. Finally we found a place that didn’t seem to be too busy and we were able to get a table immediately. It wasn’t until after we’d put in our orders to a not-very-efficient waiter that one of us put it together. It’s Friday night. Every other restaurant in Indianapolis is busy. This one is not. There’s a message there. The message came with our awful, awful meals. Moral for the Bulls: Busy is good. How weird is it that in a 10-inning game on Friday one of the weakest hitters in the Bulls lineup, Reid Brignac, hits the game-winning RBI and then on Sunday in a 10-inning game he hits another game-winning RBI? Thanks, Reid, the Bulls needed that; Bulls fans needed that. Keep it up. Three wins in a row is very unusual for the 2012 Bulls, and they haven’t been 7 games under .500 in more than a month (April 23d to be exact). That happens to be exactly the same day that the Bulls dove into last place in the South Division. Today they rose up to third place a game ahead of Norfolk. We should not be surprised that Baltimore and Tampa Bay are tied for first place in the American League East and that Norfolk’s roster has been pillaged as much as Durham’s (although that’s hard to imagine). The pitching in these two games was exceptional. In 19 innings Norfolk only scored 2 runs. Matt Torra had a very decent 5 inning outing Saturday (although it took him a worrisome 99 pitches to get through it) and Lance Pendleton had an exceptional 6⅓ inning start today. Broadcaster Patrick Kinas went nuts over a play by second baseman Cole Figueroa in the Norfolk half of the 3rd inning. As reported, he went far to his right to stop a ground ball and start a double play that ended the inning. Since the bases were loaded, one out, the play saved at least one run, possibly two. And those were the last Norfolk base runners until the 7th inning. Has Brignac turned a corner? Maybe. Since coming back in the lineup for the last four games, he’s gone 5 for 15 with 2 RBI and one BB. While that might not be stellar hitting, he’s raised his average by 21 points, and that is very promising. Almost as promising is that they have all been singles. For Mr. Brignac, I like singles. The Bulls are off to Indianapolis where they were not watching baseball today. Runner Diane Van Deren is over 600 miles into her nearly 1000 mile trek. The GPS tracking doesn't seem to be working, but it's good news to hear that Nash County's White Oak Hill Free Will Baptist Church treated her with kindness as she passed through. Baseball players famously live in the moment. Baseball managers will, invariably, say that they take it, “One game at a time.” Fans, however, live in the past and obsess about the future. We take off a few minutes every now and then to watch a game and, with the players, live in the moment. Otherwise we cycle from ruminating over the past to speculating about tomorrow. At the beginning of the year Durham Bulls fans were confidently looking forward to another Southern Division title. After all, that’s all we’ve known for a very long time. Sure, the roster didn’t look all that strong, but manager Charlie Montoyo and his crew of Neil Allen and Dave Myers could probably pull it off. Here at WDBB we think a more modest re-look at the Bulls prospects is in order and suggest a more reasonable goal for the season. What about hitting a won-loss record of .500 by the 1st of September? That is not the easy goal that it may appear to be. 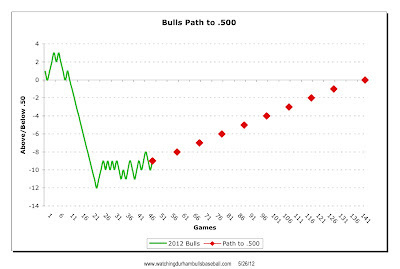 For the Bulls to hit .500 by the end of the season they have to win 52 of their remaining 95 games. In other words, they have to play .550 ball to hit .500 by September. Pretty simple math (it’d have to be for me to get it). They have won 20 out of 49 games so far. They will play 144 games this season (unless there’s a rainout that can’t be rescheduled). They need to win 72 to break .500. 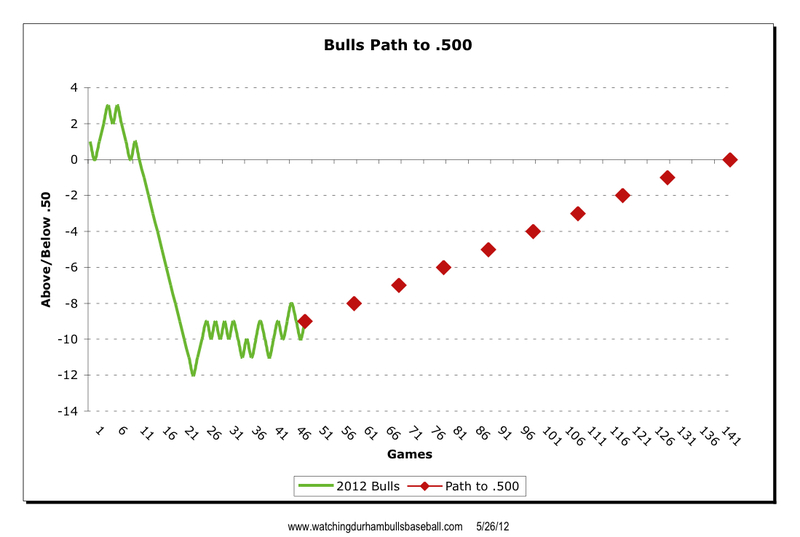 Here’s a chart showing how the Bulls have been doing in the won-loss column so far this year (the green line). I've added milestones to the .500 goal (the red diamonds) . I’ll update it from time to time as the year goes by. Is this a reasonable goal for the 2012 Durham Bulls? Your comments gratefully appreciated. So, you’re a Bulls fan. The score is tied at the bottom of the 10th. Brandon Gomes has already pitched two superb innings. But things really don’t look all that great for the Bulls in the 10th. After Henry Wrigley (.262) leading off, the next players coming to bat in the inning are Hideki Matsui (.121), Jose Lobaton (.000! ), Juan Miranda (.186), and Reid Brignac (.141). That is not a promising array of hitters. Probably a good idea to keep Jhonny Nunez warming up. But, who said the gods of baseball don’t have a sense of humor? Wrigley grounds out, but then Matsui hits a single (Feliciano comes in to run for him). As Jose Lobaton is striking out (still .000), Jesus Feliciano is stealing second base. Juan Miranda hits a single, sliding into first base, and Feliciano moves to third base. Miranda gets to second on indifference and Brignac hits a perfect, up-the-middle line drive. Lots of folks think that Matsui won’t be back and I’m guessing they are right. But for now his entourage is hitting the road for Norfolk, Indianapolis, and Louisville. Am I the only one who is mildly irritated by Jose Lobaton not wearing stockings? Doesn't that amount to him thumbing his nose at the Bulls and their uniform policy? And Bulls fans for that matter? I know, he's a major leaguer down on rehab, but why not try to fit in with the rest of the team? We liked him as a Bull. Now I'm not so sure I like him as a Ray. Looks like former, and until yesterday likely future, Durham Bull Brandon Guyer is out for the season. As various Rays get healthy, some speculation on who’s going to be leaving the team for Durham. See commentary RaysIndex and DRaysBay. A Rays blogger checks in from Afghanistan. The Tides’ near no-hitter masked Chris Archer’s dominant performance. The Clayton, NC native Archer struck out a career high 12 batters, just one K shy of tying the Bulls single season mark. He threw 6.0 innings, allowing 5 hits and 3 runs that were all earned. He was pulled in favor of Ryan Reid after throwing 97 pitches. I don't want to diminish Archers' achievement, but let’s not get too carried away here. Let’s take a look at the three innings before the tarp was pulled on the field for a rain delay (and I went home and watched the finish of the game on television). In the 1st inning a walk, single, and hit batter filled the bases before Archer struck out two to end the inning. The 2nd inning was very nice with 2 Ks and a fly out. But then in the 3rd a single, walk, K, single (1 RBI), triple (2 RBI) put three runs across before the 2 Ks. So, yes, he can obviously throw strikes and he was throwing them at 96-97 mph at the end of this outing. You know, and this is pure guesswork, what would happen if he stopped trying to strike everyone out? In the meantime, no Bulls were hitting the ball and almost none were getting on base until a 9th inning flub let a runner on and Matt Mangini got the Bulls only hit of the night that loaded the bases. Leslie Anderson hit into a double play to end the game. Oh yeah, Jhonny Nunez made the trek back from Hudson Valley to come on in relief in the 9th. He gave up a home run, but looked none the worse for wear for his travel. Just for the record, the reason that Nunez was able to return from exile was that the Texas Rangers claimed John Gaub off waivers opening up the roster spot. Gaub has been sent to the Rangers' Triple-A club, the Round Rock Express. The move to Pennsylvania has not gone well for Kyle Hudson. Here’s an interesting piece on how the Bulls have been coping with Hideki Matsui’s presence. An online search implies that the Hampton Roads/Norfolk folks are oblivious to Godzilla’s arrival on Saturday. Do they know something we don’t? Is Godzilla going to Boston with the Rays? As I write this endurance runner Diane Van Deren is making her way around Falls Lake on her trek from Clingman’s Dome to the the Outer Banks. For something really outside the game, what about those olympic table tennis trials that were held in Cary? After today’s game the Bulls get Wednesday off. They finish the home stand against the Norfolk Tides with games on Thursday and Friday. They don’t play Charlotte again until July 12. No way to tell if they’ll have to face the Knights’ Terry Doyle again. They shouldn’t. He should be in the majors by then, unless today was a fluke. Doyle looked really good and the Bulls (other than Leslie Anderson) just flailed at the ball. Jim Paduch seems to be an up and down kind of guy. He did just fine in his last start but he was tentative today. It didn’t help that he gave up two runs in the first inning and it was immediately clear that Doyle was having a good day. And Paduch did give up two runs all by himself with a throwing error and a wild pitch, a walk, and two singles. 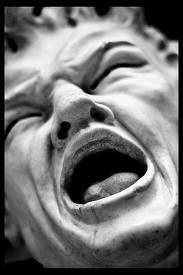 Ugly inning. Jose Lobaton was behind the plate and seemed comfortable there. Not so much at bat, 0-4. With Lobaton in the game it gave the Bulls the very weird bench of Brignac, Acosta, Albernaz, and Salazar. Lobaton wasn’t alone going 0-4: So did Hideki Matsui, Henry Wrigley, Juan Miranda, and Shawn O’Malley. Bryan Augenstein, who hasn't been seen since early April, had two very nice innings. Josh Lueke is back from Tampa Bay and gave up a run. 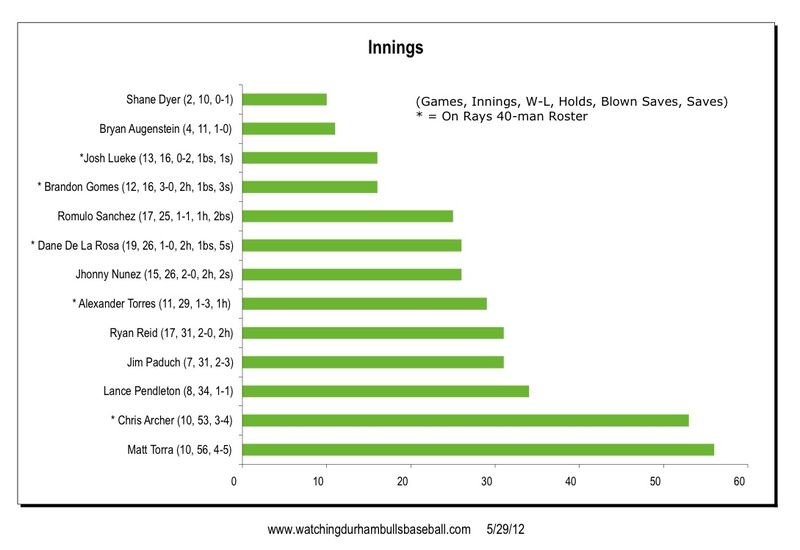 BurGi has updated his hitting stats for the Rays system. 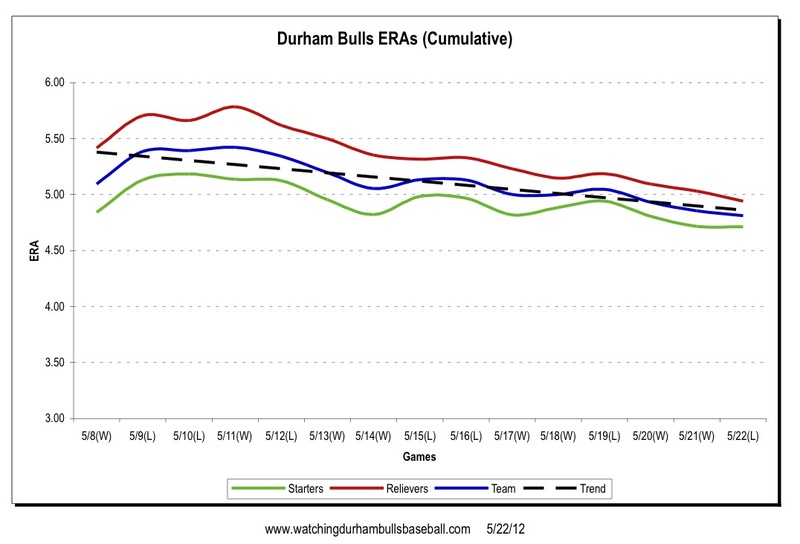 The Bulls' team ERA is showing a modest downward trend, but the team ERA really doesn't compare well with the International League's overall ERA of 3.72. Brandon Gomes Gives Up a Run! ERA Soars to 0.69! If Gomes hadn’t given up the run in the top of the 9th, then the Bulls wouldn’t have needed the heroics. On the other hand, an ERA of 0.00 can’t go on forever. Perhaps Gomes was being too cautious. He had Knights Hector Giminez down two strikes, but walked him on the next four pitches. On the next pitch Jordan Danks hit a double and Gimenez scored from first base. Gomes, very likely not happy with himself, struck out the next two batters. Of course, the Bulls were only ahead by one run going into the 9th and both of those runs depended on mistakes by Charlotte that let runners advance. Otherwise, Bulls bats were very quiet. The baseball gods were paying attention when we mentioned yesterday that Hideki Matsui had done nothing to help the Durham Bulls during his stay with them. That held true for his first four at-bats, included one that left his bat in three pieces between home plate and just in front of the second baseman. But then reliable hero Jesus Feliciano got on base in the bottom of the 10th and the gods of baseball decreed that Matsui could whack a one-out single to right field to win the game. It was a game-winning hit. It was hit with authority. And it was the first of his admittedly few his to right field. Could I have been wrong? Lance Pendleton has had three consecutive no-decisions. Too bad. Unlike his last outing, which was pretty shaky, last night was just fine. He’s become a reliable member of the rotation. Nice to have him with us. Nice little crowd of 3,000+ in the DBAP. I guess it’s selfish of me, but sometimes it’s nice to pretty much have the place to ourselves without all the raucous clatter that makes for “family entertainment”. I didn’t plug my radio into my ear. I didn’t get out my scorebook. I chatted with the folks nearby. Strolled around a bit. Weather was perfect (except for that odd little mini-cloudburst at the end). And the Bulls won. Perfect. Transactions affecting the Bulls are not going to let up for a long while. To deal with yet another injury, the Rays reached out for an infielder named Drew Sutton. We saw Sutton when he was playing for the Gwinnett Braves earlier this year. To make room for Sutton someone had to go off the 40-man roster and that someone was Durham Bulls reliever John Gaub. He’s been designated for assignment, which means that there’s ten days for legal/contractual mumbo-jumbo to ensue. Gaub may or may not be with the Bulls at the end of that time and it doesn't have to take ten days. Catcher Jose Lobaton should be with the Bulls today on a rehab assignment. A glance at the Rays’ 40-man roster shows six players on the 15-day DL: Catcher Lobaton, infielders Longoria and Keppinger, and outfielders Allen, Guyer, and Jennings. As they get heathy you can expect more transactions. The odd man out is Bulls shortstop Reid Brignac, who has missed the last several games with quad/back problems, but is not on any disabled list. He is only current Bulls position player on the Rays 40-man roster, but apparently not available to go up to fill in for this last Rays injury. Promising youngster Hideki Matsui hit an RBI single to end [the Bulls game]. Regarding Saturday’s game: Former Bull Alex Cobb went to St. Pete and won a game for Tampa Bay; Montgomery Biscuit Shane Dyer came to Durham and did not. Three home runs, terrific pitching, a 6-0 shutout. This really is a simple game isn’t it? When Matt Torra took a couple of his warm-up pitches from the stretch I have to admit that I was worried. But it seemed justified. In the first two innings he pitched exactly four pitches from a full windup. However, at the end of those two innings the Knights had not scored a run and had left three runners on base. After that, for the first time since his great game against Louisville on April 30, the 2011 edition of Matt Torra was in the DBAP. Welcome back! 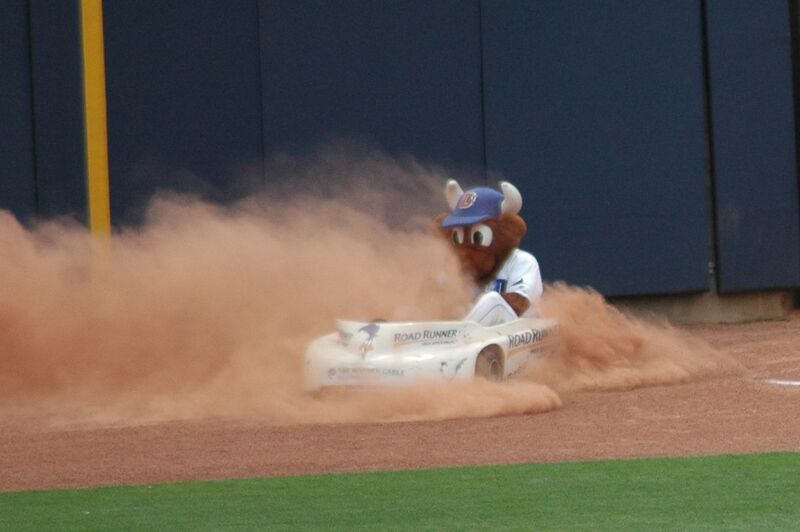 Sunday felt like old times for the Durham Bulls and their fans at Durham Bulls Athletic Park. Other RBI were recorded by Henry Wrigley on a double and a Hedeki Matsui sacrifice fly. First, let me say what a great pleasure it is to have him and his entourage at the DBAP. I don’t think we’ll see its like again. And I don’t think we’ll see a player quite like Matsui here again either. What he is showing us, however, is the tiny differences the years bring to even the greatest talent. He may be only 5% less than the player he once was, but that is a difference. So far he is 3 for 31 in 6 games (.143/,174/.190). He has hit two balls with authority and both were caught. There’s an elegance and smoothness to all his play, but my guess is that it’s a notch below last year, and well below his prime. For example, he was on first with a single when Henry Wrigley hit his double in the 3rd inning. His run from first to home to score did not have a hitch and his slide was perfect. He wasn’t some lumbering, knee-broken catcher. On the other hand, with even a slightly better throw from centerfield that hadn’t pulled the catcher up the line, he would have been caught. The chatter is that he may be heading for the Rays as soon as this weekend. Looking at it from the perspective of a Bulls fan, he may be filling the stands, but he’s not helping the Bulls win games. Sorry to say that. He appears to be a great gentleman and a great ballplayer and maybe he just needs to work on his timing more. I hope so. 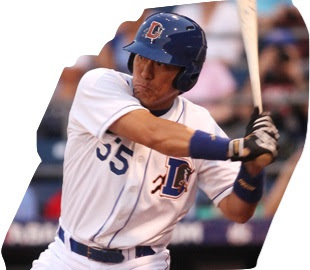 Former Bull, switch-hitting catcher Jose Lobaton is rehabbing with the Montgomery Biscuits. He’s appeared in four games so far. In normal times he might be coming through Durham. But yet another catcher left the game early in Tampa Bay last night (Stephen Vogt put on the gear), so he might just head for the Rays when he’s ready. Too bad. I like watching Lobaton play. Bulls RHP Bryan Augenstein is off the disabled list. Bryan who? you may ask. That would be understandable. Augenstein pitched one game for the Bulls back on April 7. Did pretty well, but went on the DL. Jhonny Nunez has been “reassigned to Hudson Valley.” Note to new readers: the Hudson Valley Renegades is a real baseball team in the Rays system. However, what this means is that Nunez may be hanging out with the Bulls, but he can’t pitch until he gets assigned back to Durham. In other words, the Bulls are gaming the system. More power to them. If I’m reading the plots correctly Dian Van Deren came off the Parkway and made in almost to Pilot Mountain in one day! On foot! I know it was sort of downhill, but, Wow! ...Pawtucket shortstop Jose Inglesias [is a reason to come to the park]. If you’ve ever had one of those deep philosophical discussions about whether a shortstop needs a quick release or a strong arm (as if there’s a distinction), Inglesias is a poster-child for the quick release school. The ball simply doesn’t stay in his glove. It simply ends up flowing towards first base. Pretty to watch. The gods of baseball saw that and struck back in the 8th Inning. Two in a row says a lot about the Bulls and they gave the huge crowd a real thrill. On the other hand, Chris Archer was a mess. In addition to the 7 hits and 4 walks, he was charged with three wild pitches (one of them letting a run score) and he hit a batter. Yes, he got 9 Ks, but he was simply lucky that the seven guys left on base weren’t able to get in. And it took him 106 pitches to get through just 4⅔ innings. He can thank Hideki Matsui for preventing at least one run. Matsui was on the field for the first time, in left, and made a perfect throw to the plate on a runner who’d tagged up. Have to mention Craig Albernaz. He seemed to be having a really tough time behind the plate last night, at least with Chris Archer and Jhonny Nunez. Lots of balls in the dirt. Lots of trips to the mound. Communications problems? A win, and a pretty one at that. Before a full house. Great. The Bulls will not play Pawtucket again this year unless they meet in the playoffs. Doug Milhoan over at Rays Prospects has noticed that within the Rays system they have 25 players on the DL, rehab assignment, or the restricted list. That’s enough for a team. So he’s put one together. Actually looks pretty good. Ultra runner Diane Van Deren made it through the Linville Gorge/Wilson Creek area hitting some rough weather, but is now past Boone running the Mountain to Sea Trail. They seem to have the GPS tracking working this morning. Try the terrain view on the map and zoom in. Amazing. Charlotte comes to town today. The Bulls are 2-5 against Charlotte so far this year. This has nothing to do with Bulls baseball and it says something nice about the New York Yankees, but as an ex-soldier and dog lover, I just had to pass this on. Sgt Rex and Corporal Leavey both served their country with distinction. Sergeant Rex was recently retired and was reunited with his handler, who had also separated from the Marines. The president of the Yankees helped get the pair back together. They were honored in a very nice ceremony in Yankee stadium. Details and a better photo here and here. Get the Kleenex out. 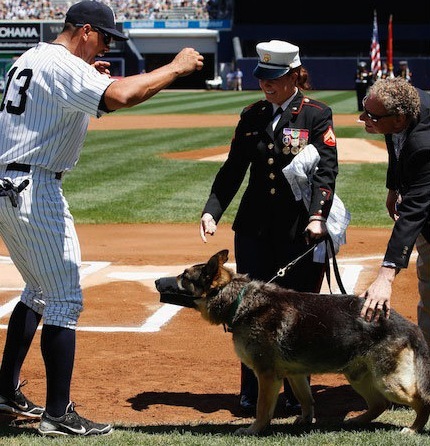 To Sergeant Rex’s credit, he tried to take a chunk out of A-Rod. Too bad he was muzzled. Lengthy video here. Most folks who follow the Rays know this already, but for Bulls fans here are transactions #42 thru #44 for this year. The last transaction is speculation. Is somebody keeping track of these frequent flyer miles? Alex Cobb to the Rays. Will probably start tomorrow. Shane Dyer from the Biscuits to the Bulls. Start tomorrow? Maybe. Josh Lueke (probably, somebody’s got to go) from the Rays to the Bulls. But he doesn’t have to leave until Saturday and gets a couple days travel time. Could even pitch for Rays tonight. Who said this system was fair? OK. Enough of that. Lets talk about ... Jim Paduch. Paduch had a brilliant outing in front of 10,000 fans, most of whom could have cared less about who he was or how he got there. But we Bulls fans did. Thanks for getting the Bulls out of their funk. His six innings of crafty pitching set up what is only the fourth shutout by Bulls pitchers this year. Followed by fellow indie ball escapee Dane De La Rosa (is he getting his groove back?) and waiting to be called back to the Rays Brandon Gomes, Bulls pitching was superb. Two home runs (a pleasant change) by Bulls hitters was more than enough (Jesus Feliciano and Henry Wrigley). Icing on cake was new guy Mayo Acosta’s sac fly RBI in the 7th. Obligatory mention of the guys who drew the crowds: Daisuke Matsuzaka (松坂大輔) pitched for the Pawsox, made it through 6⅔ innings and looked OK. Notable that he was wearing a Boston Red Sox uniform, not a Pawtucket Red Sox uniform. Guess that’s a perk of being a major leaguer. Hideki Matsui was 0-3, but yet another catcher’s interference call got him on base and he scored on Wrigley’s homer. I hate to point this out, but he is not running well. Amid all the Japanese signage, down in front of me was a lady waving the flag of Taiwan, probably for Pawtucket centerfielder Che-Hsuan Lin. Lin is something to watch out there. He’s made three spectacular catches in these games (taking two hits away from Matsui). He’s a reason to come to the park. 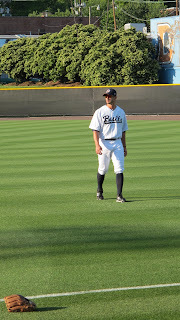 As is Pawtucket shortstop Jose Inglesias. If you’ve ever had one of those deep philosophical discussions about whether a shortstop needs a quick release or a strong arm (as if there’s a distinction), Inglesias is a poster-child for the quick release school. The ball simply doesn’t stay in his glove. It simply ends up flowing towards first base. Pretty to watch. I’ve got to mention the latest spin of the Montoyo Merry-Go-Round that put infielder Shawn O’Malley in right field and new guy Henry Wrigley at first base. I think Wrigley has played a good bit of first base. O’Malley reportedly hasn’t played outfield since high school. They both did just fine in the field and Wrigley showed his power at the plate. Then there was the mystery man coaching at third base. That was Michael Johns the manager of the Princeton (as in Princeton, West Virginia) Rays. Guess he’s here to keep his head in the game until his team’s season starts next month. Stacy Long at Biscuit Crumbs is reporting that RHP Shane Dyer is coming from AA Montgomery to the Bulls. Probably in anticipation of Alex Cobb going to the Rays in a day or so. Pretty good stats. I really like the continuing improvements to the big video board. It is now showing the pitch count (and ERA) of the pitchers. And on the board out in right field they are starting to put up the in-game stats for batters. Better and better. Elliot Johnson and Reid Brignac: There’s been a flurry of interest in the recents exploits of the well-liked former Durham Bull Elliot Johnson. He’s been having a grand time lately with the Rays. This column looks at EJ’s recent work (with a really gratuitous cheap shot at the end). But this one extends the discussion into concerns about a current Durham Bull whom we’ve mentioned here, Reid Brignac. A bit of armchair psychologizing, but it makes sense to me. Elliot, however, was one of my favorite Bulls and I couldn't be happier to see him succeed. I have never forgotten Neil Solondz calling EJ’s two homers over in Norfolk, one batting left, the other batting right. Maybe not a record, but certainly worthy of remembering in a blog that celebrates the obscure and quirky. A couple of other mentions of EJ over the years are here (2009) and here (2010). Matt Torra has an unfortunate tendency to give up home runs. Last night he gave up two more, making it an even dozen so far this year. What made it worse was that in the 1st inning after he’d gotten two outs he then walked and then hit a batter, then gave up the first homer. With two freebies, the three run homer really hurt. Then in the very next inning he walked a batter, then gave up a home run. Two hits, five runs. A deep hole to try to get out of. In contrast, the Bulls also hit two home runs (Matt Mangini and Leslie Anderson), but the bases were empty. One bright note was the first 3⅓ innings of Alexander Torres’ 4⅓ inning relief appearance. Torres was throwing strikes (6 Ks) and inducing ground balls. The only baserunner until the 9th was a hit batsman. But the 9th started out with 4 hits and two runs. Pitching coach Neil Allen made his obligatory trip to the mound (I wonder if any other pitcher on the Bulls has been visited by Allen more than Torres?). Still, no walks! Something of a breakthrough for Torres. We also saw catcher Mayo Acosta make his Triple-A debut. He singled in his first at bat and drew a walk. Here’s a question. Coming up from A ball, I’d guess that Acosta had never caught Matt Torra before, but maybe in spring training. But he at least caught warmups. What about when Torres came in? Was the bottom of the 5th inning the first time that Torres had ever seen Acosta behind the plate? How can a pitcher trust a catcher he’s never even seen before? I’ve been avoiding mentioning Reid Brignac since his return to the Bulls, but just have to say something about his awful night at the plate. He hit into two double plays to kill two rallies early on; struck out looking in the 6th, and hit weak grounder to second in the 8th with a runner in scoring position. Other than new guy Hideki Matsui, Brignac’s BA of .145 is the worst on the team. Speaking of Matsui, 0-4, but one was a long shot to deep centerfield. I noted much earlier that the appearance of Hideki Matsui might even bring out the Raleigh News & Observer to the DBAP, and at first I thought that was the case. But then I checked the bylines on the N&O, Examiner, and IndyWeek stories. All by the same veteran sports writer Mike Potter. Over at WRAL they haven’t get gotten the memo sent out from St. Petersburg about five years ago, the team down there is called the Rays, not the Devil Rays. Hudson-Thompson trade. In yet another example of how little I understand about this game, the Rays have traded Kyle Hudson for Rich Thompson, who had one major league at bat (with the Royals) in 2004. He’s hitting .307/.390/.398, 7 SB, 0 home runs for Lehigh Valley this year. Stats. Hudson, on the other hand, is 6 years younger with more (but not much more, 28 ABs) major league experience and roughly the same batting numbers .291/.378.318, 7 SB, 0 HRs. So what was the point. Going to look a bit foolish if Hudson gets hot next month when the Bulls play Lehigh Valley. More on trade here, and he once made a movie. Durham Bulls pitcher Josh Lueke has been called up to the Rays. No replacement named. Speculation is that a Bulls starter will be swapped out at the end of the week. Famous Boston Red Sox third baseman Kevin Youkilis - - you know, the guy who droops his bat up over his head and points it at the pitcher while waiting for a pitch - - will be in the house Wednesday night on a rehab assignment. As reported earlier, nearly as famous Red Sox pitcher, Daisuke Matsuzaka, better known as Dice-K, will also be in the house for a rehab assignment, this Thursday. 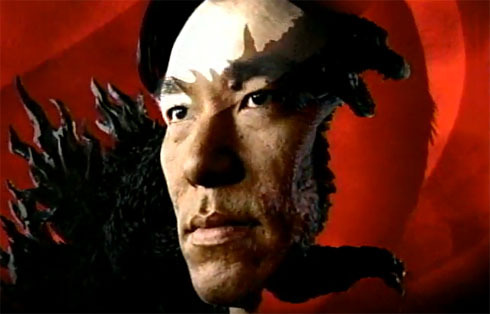 Godzilla, aka Hideki Matsui, will be wearing number 55. Henry Wrigley gave it up. Of course he did. Wouldn't you? 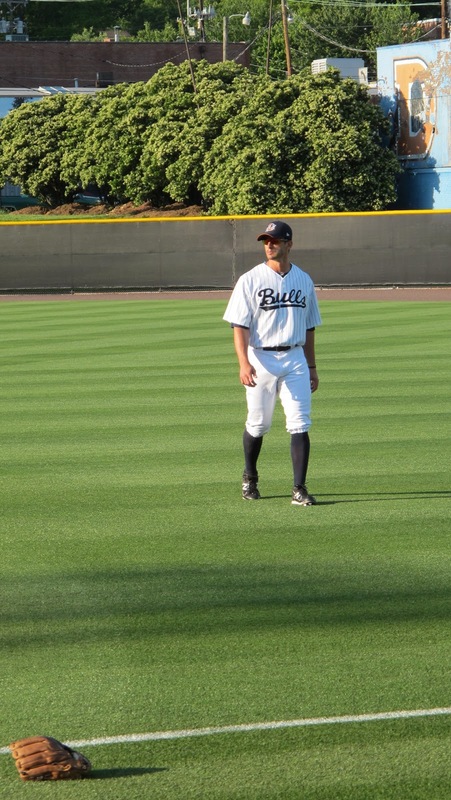 Advice for newcomers to Bulls baseball who might be arriving at this blog for the first time. Since we have the perfect storm of Hideki Matsui and the Pawtucket Red Sox (bring out the Red Sox Nation!) occurring today I’m guessing there might be some new folks. What I’m worried about is a real storm. 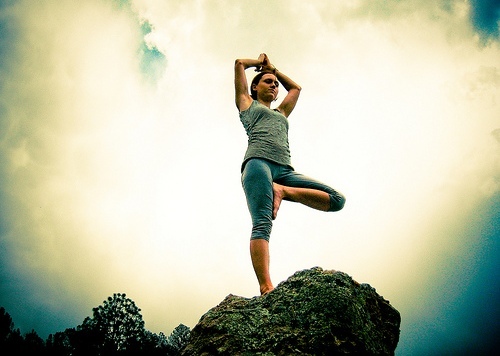 Here’s the key number: 30 minutes. That's the time from pulling the tarp off the field until the game begins (resumes). So here’s what I do with the forecast is iffy. Note: I live about 30 minutes from the DBAP. I go to the Bulls website, then mouse over to the “Gameday” menu and click on the stadium camera drop down. Or click this link. That will get you to the camera that's up on the Diamond View I building behind right field. The screen grab above is from a few minutes ago. If the tarp is on the field. I stay home. I keep checking every five minutes or so and keep my eye on weather radars. I also try to get a radio update (AM 620), but if there’s a rain delay the radio often goes back to regular programming. If I see the the tarp being pulled off the field, I get in my car and head for the DBAP. I might miss the Star-Spangled Banner, but usually I’m there in time for the game. The grounds crew and the field drainage is world class. We are fortunate that it's usually only 30 minutes. I cannot bring myself to do a thorough analysis of the epistemological differences between a rain delay and a rainout. The short version is that if it’s a delay you don’t get your money back. If it’s a rainout, you can get a ticket exchange. But if they finished 4½ innings before the storm ... oh never mind, here’s the link. Watch the skies. Watch the stadium camera. Do not do a rain dance! This is baseball! Who cares about your lawn! That was a nice way to wrap up the trip. Bulls pitching got what was only their second shutout this year and Juan Miranda got his first home run of the season to win the game. It was a particularly solid win given the context, which is severe roster turmoil (Stephen Vogt called up just before the game) that is only going to get more confusing over the next couple of days. More about that below. I agree with broadcaster Patrick Kinas — Bulls pitching has really settled down over this trip. (I would add: with the notable exception of Alexander Torres.) Defensively a few miscues, but nothing to be concerned about. What is still cause for concern is the lack of power. But that isn’t new and the answer is more effective small ball, i.e., get that guy home from second and third base. That needs some help, but that’s who the Bulls are this year ... so far ... wait for the next edition of the team. It changes almost daily. Latest word from the Bulls is that Hideki Matsui will play tonight. But if not tonight, then tomorrow. Should be fun. If Matsui does get added to the roster, who goes? That’s where the secrecy surrounding minor league contracts comes into play. If it’s just performance, then, in spite of his big hit last night, Juan Miranda would be the one to go. He was hired by the Rays for his bat and he is not producing. But if it’s ease of moving players around, then it will likely by Henry Wrigley back to Montgomery. Sorry, Henry, because I was really looking forward to seeing you play. But wait! There’s more! Jeff Niemann, a Rays starting pitcher, was hit so hard by a batted ball it broke a bone in his leg and he will be out for a long time. That means a pitcher will probably be leaving Durham. My guess is Alex Cobb. No telling who’s available to fill that hole. Seems like half of the Rays roster is on the DL. Just look at the folks here. Plus at least two of those guys (Ridriguez and Suarez) ain’t gonna get called up any time this year. But, the Rays could take someone from their bullpen (Wade Davis was in competition for the starting job until just a few weeks ago) into the rotation and the Rays call up a reliever from the Bulls instead of a starter. Brandon Gomes, De La Rosa, and Gaub are on the 40-man. If they take a pitcher from the Bulls today, then they could just leave a hole and Matsui will just slip in without a transaction. Does any of this pass the "So what?" test. Well, I think so. Because the senior guys in the dugout and the bullpen have to be thinking if their day is coming. After mentioning Cesar Ramos yesterday in this blog, nice to see him come in after Niemann’s injury and do a great job. For a short break from baseball, check out Diane Van Derek’s trek. She is getting near Blowing Rock on the fifth day of her run from the Tennessee border to the coast. They don’t have the GPS tracking up and running yet. Hope they do soon. Update: For a thoughtful analysis of the Rays pitching situation, see this piece by Tommy Rancel, a well-regarding Rays watcher and analyst. Catcher Craig Albernaz has just become even more vital to this year’s Durham Bulls. When Rays outfielder Desmond Jennings went on the disabled list today the only players with the Bulls on the 40-man were Stephen Vogt and Reid Brignac. The Rays chose Vogt and he was off to join the Rays in Toronto. To plug the hole, catcher Mayo Acosta has been jumped all the way up from A+ ball. 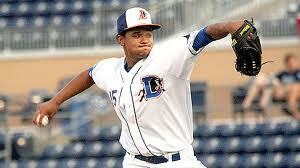 Acosta is a young (24 year old) guy from the Dominican Republic who started in the Rays system in 2007. He’s been in 22 games with the Charlotte Stone Crabs this year and has some decent stats. This transaction is partially driven by this year's concerns over the three Rays catchers who are the disabled list: Jose Lobaton, Robinson Chirinos, and Nevin Ashley. Chirinos is on the 60-day DL and Ashley is, I think, still in a cast. Has anyone heard what Lobaton’s status is? He could be showing up on a rehab assignment one of these days. We weren't the only ones who noticed that Chris Archer's last two starts were pretty good. Turns out they were the best in the International League. Durham right-handed pitcher Chris Archer had won just one of his first six starts this season, but last week he was victorious twice and was 2nd in the League with 14 strikeouts to earn Pitcher of the Week honors. Archer went 6.0 strong innings Tuesday in the second game of a doubleheader at Syracuse. He held the Chiefs to one run on four hits as Durham went on to win 2-1. Archer looked even sharper on Sunday in a matchup with the Scranton/Wilkes-Barre Yankees in Rochester. Archer again tossed 6.0 innings of one-run baseball, this time allowing just three hits and striking out a season-high nine batters. The Bulls won 3-1 to give Archer his club-best third victory on the season. He also leads all Durham pitchers with 40 strikeouts. The Bulls played another fine game of baseball this afternoon. Chris Archer had a terrific start: 6 innings, 9 Ks, 4 BBs, and 1 unearned run. Ryan Reid bridged the gap to Brandon Gomes. Gomes has yet to allow a run while pitching in a Bulls uniform. Meanwhile the Bulls kept up their very worrisome habit of leaving runners on third base. Nevertheless, runs were pushed across with hits by Stephan Vogt and Shawn O’Malley, and that was enough. The Bulls have a chance to break even for the trip tomorrow. That would be a fine outcome. Frontier Field in Rochester is well-liked by the cognoscenti of baseball stadiums. See reviews here and here. It comes out eighth on Stadium Journey’s list. Cesar Ramos has pitched in one game, for one inning (May 6th) since he was called up. If you want to look at something really outside the game, check out ultra-marathoner Diane Van Deren’s attempt to run North Carolina’s Mountain-to-Sea Trail. She began her trek last Thursday at 4:30am from Clingman’s Dome. She’s going to see if she can beat the current record of 24 days, 3 hours and 50 minutes (930 miles). If all went well today, she should be nearing Buck Creek Gap. The Sabermetricians don't much like batting average for a lot of reasons, but we are all used to it. So here they are for the Durham Bulls. Included is Brandon Guyer since I'd guess he'll be coming back someday soon. Not included is Henry Wrigley since he has very few AAA at bats yet. As can be seen, there are three players below the Mendoza Line. That's actually an improvement over the last couple of days. Brandon Guyer, Stephen Vogt, and Reid Brignac are on the Rays' 40-man roster. Room is going to have to be made for Hideki Matsui. Oher roster changes can be expected as various Rays return to health — Longoria, Jennings, Lobaton, Allen, et al. Just who the heck are the Empire State Yankees? Well, they are the Scranton/Wilkes-Barre Yankees, the Triple-A affiliate of the New York Yankees. However, they aren't playing baseball in Scranton or Wilkes-Barre, Pennsylvania this year. On the other hand, they never did. When they did play baseball in Pennsylvania, they played in Moosic, Pennsylvania. Moosic is sort of between Scranton and Wilkes-Barre. Someday (probably next year) they may be playing there again, once their field in Moosic gets repaired/renovated. This year they are playing "home" games wherever they can find a vacant stadium. Mostly their home games will be in New York (such as this series being playing in Rochester). So, for one year only, some marketers have christened them the "Empire State Yankees". Except that the new, one year only, name hasn't quite caught on. Nevertheless, for one year only, you can buy stuff, for just one year. Is the point made? For one year the Empire State Yankees, Scranton/Wilkes-Barre Yankees, Moosic Yankees are homeless, but you can still buy stuff. But only for a year. Meanwhile, there's some baseball being played in Rochester, New York between the Rays affiliate and the Yankees affiliate. They have been terrific games. Both have gone for ten innings. Both have featured interesting play. Five steals by Shawn O'Malley and a home run by Reid Brignac in the first game were the highlights of the first game. Home runs by Leslie Anderson and new guy Henry Wrigley in the second game. On the negative side, the Bulls penchant for leaving players on base has never been more evident than in the second game when out of 13 hits only two (the homers) resulted in runs. Leslie Anderson's homer was his first of the year. But he's beating on the door of the Rays. His numbers, .347/.409/.441, are among the best in the International League. He plays a competent first base. He was dropped from the Rays 40-man and had no trouble getting through waivers last year. But he's a better player this year, showing us why he was a favorite of the Cuban National Team in his prime. If the Rays keep banging themselves up, he might finally get his chance. Brandon Guyer got his first big league hit of 2012 last night, a home run. Several Bulls and support staff are reported to be fighting some sort of flu-like illness. Wish them well. Hideki Matsui is scheduled to arrive in Durham this Tuesday or Wednesday. For Bulls fans this is a really big deal. Matsui could be the greatest baseball player ever to put on a Durham Bulls uniform. Will we get a chance to see great baseball? No way to tell. But will we get a chance to see a great baseball player? Undoubtedly. How long will he be with the Bulls? Also not possible to tell. But for a few days or weeks the Bulls will have a very bright spotlight on them. The Raleigh News & Observer might even send a reporter to cover the event. Want a really great rumor? It could be (pure speculation) Daisuke Matsuzaka pitching when Matsui first comes to bat. Dice-K is currently rehabbing with the Pawtucket Red Sox. Background. Stats. Note: Other than a couple of rehab visits, Matsui has never played minor league baseball in the United States. If Charley Montoyo was looking for a hitter last night, only Craig Albernaz was looking back. Brandon Guyer is with the Rays and Matt Mangini is on condolence leave. Henry Wrigley (stats) is on his way from Montgomery. Wrigley’s having a pretty good year and has hit a bunch of home runs (7), more than that anyone with the Bulls. Here's the link to BurGi's spreadsheet that puts him very high on the list. This will be his first time at AAA ball. The folks over at Rays Prospects don’t spend a lot of time on him. Maybe one of them will jump in here and give us a profile. Speaking of ballplayers, did reliever Brandon Gomes show up? Nice little preview on the Bulls website. Not much to say about this one. Three home runs accounted for all of Syracuse’s scores and Matt Torra, who leads Bulls pitching in the giving-up-homers category with 10 of them, took the loss. Brandon Guyer told a Tampa Bay reporter that his legal troubles have been a distraction. Guyer owned the car that Matt Bush was driving when he got involved in a nasty accident this spring. Guyer is party to a multi-million dollar lawsuit related to the event. More on Guyer: He started in left field in Yankee Stadium last night, but went 0-4 in the Rays’ loss. Looks like he will be there a few more days. Over at Rays Prospects BurGi updates his terrific table analyzing hitting prospects in the Rays system. Rays Index has a video of Hideki Matsui working out down in Florida. No word on when he will be arriving in Durham. That’s going to be fun. A few days ago I noted that Dioner Navarro was now playing for the Louisville Bats. I recalled the time in 2010 when Navarro was with the Bulls and we were playing those very same Bats with Aroldis Chapman on the mound. Navarro “took one for the team” in the form of a 102 mph fastball. Here’s the amazing bit. Careful reader The Grillmaestro has a video taken with his iPhone of that very moment. How cool is that? Notice the ball skipping off of Navarro's back and down the batter's approach path. When the pitchers give up 11 walks and two critical errors are made at third base, it’s hard to win the game. Even if not every one of those free passes had scored, there was the other 15 hits (4 doubles) that helped. Put another way, pitching was a problem last night. Alex Cobb left the game in the second inning “due to illness”. No further information is available yet. And illness is very plausible. He certainly wasn’t himself. I’m not sure what John Gaub’s and Jhonny Nunez’ excuses were. Gaub had been doing just fine (well, maybe OK is a better term) this year in his very brief appearances. He usually is in for only one or two batters. Last night he faced 8 batters, walked 5 of them, and gave the Chiefs two free runs. At the beginning of the inning the Chiefs had been ahead 8-2 and Charley Montoyo will, on occasion, leave a pitcher hanging in the breeze apparently to see how he responds. But those two runs made it 10-2. The huge Bulls comeback in the top of the 8th, six runs on a Mangini grand slam and Feliciano double, still left the Bulls two runs behind. No matter. Nunez gave up 5 runs on 4 hits and two walks (his ERA ballooned from 5.20 to 6.27 on the evening). Something we see very little at AAA level is defensive shifting. That’s partially due to lack of data. But the Rays are getting a lot of attention these days for their shift tactic. No word yet on whether or not the Bulls will get anyone to fill in for Brandon Guyer. Worrisome since this umpiring crew threw a Chiefs player and their manager out of the game last night. That’s four ejections in the last two games. How About Them Rays ? This is the season’s running total of runs scored minus runs allowed. If you crank that through the Pythagorean Expectation formula you see that they are doing a good bit better than would be “expected.” In general, deviation from the expectation is attributed to luck and relief pitching. The Rays are first place in the American League East. The trend is a 10 game moving average. We last looked at the Bulls about a week ago. The Biscuits (the Rays AA team over in Montgomery, Alabama) are right at their “expectation”. They are in 4th place in the Southern League’s South Division. Brandon Guyer was gone from the lineups last night, on his way to New York City and the Rays to fill the slot opened by infielder Jeff Keppinger, who has been placed on the "restricted list". Not sure what that means, but I'm sure we'll find out soon. 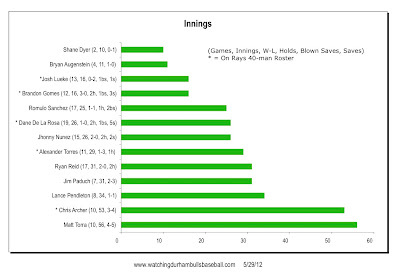 In the first game, the Bulls offense was held in check for all except the 3rd inning. I was not able to listen, so can't add anything to the wrap. I was able to listen to the second game. Chris Archer was showing his stuff for his best start of the year. And when the Chiefs walked Juan Miranda to get to Craig Albernaz (loading the bases), Craig rose to the occasion with a single that sent two runs in. Good thing. Two Bulls, Jesus Feliciano and Matt Mangini, got run out of the game for arguing calls with umpire Gerard Ascani. That meant that with Guyer's departure the bench was empty of position players. Inquiring minds want to know: Which Durham Bulls pitcher moved over next to Charley Montoyo and pleaded, "Send me in, coach. I could really crush the ball in (choose one) Little League, Legion Ball, University of ...?" The rosters tab on the Bulls website now gives you access to both the Bulls roster and the Rays 40-man. Great! Was useful today in chasing down who Jeff Keppinger is. Alliance Bank Stadium (pictured above) seems to be part of a not very successful redevelopment effort up in Syracuse. Reviews here and here. It came in 22nd in a rating of AAA baseball stadiums. As noted in one of the reviews, sort of looks like Norfolk's stadium.